Directed by Jaume Collet-Sera. 106 mins. The hero of this film is a hard-drinking disgraced former police officer who redeems himself when disaster strikes. 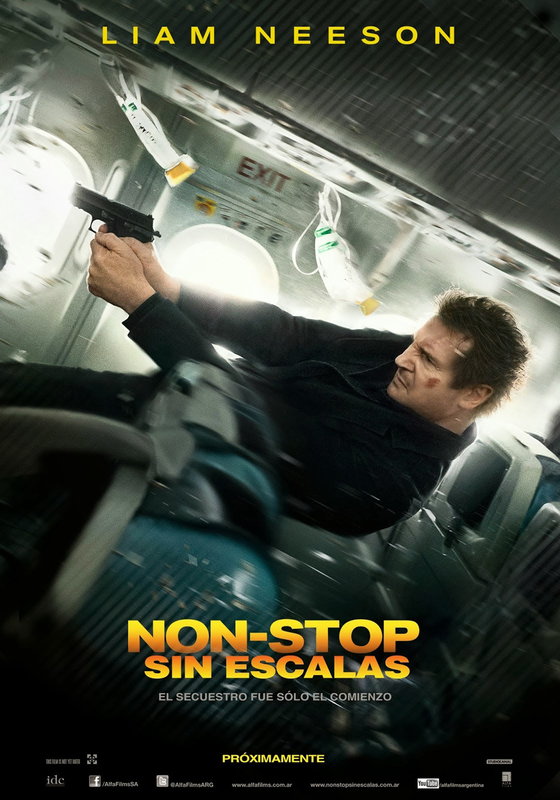 If you okay with seeing that Hollywood trope once more, then Non-Stop is worth checking out. It’s one of the better PG-13 action films I’ve seen in awhile and is a huge step up from Collet-Sera and Neeson’s previous collab, Unknown. The combination of a high-concept murder mystery and a terror plot in an isolated setting makes Non-Stop feel like a lovechild of Clue and Die Hard (it’s a far better Die Hard than last year’s A Good Day to Die Hard). The film does a decent job of fleshing out the potential friends and foes on the plane as well as finding novel ways of killing them off). Julianne Moore is horribly underutilized. However, the film is a lot more fun if you pretend it’s a spin-off of Magnolia’s Linda Partridge character. What else is there to say? It’s a decent late-period Liam Neeson vehicle. If you don’t think it’s worth the price of admission, you should still RedBox it at least. Aside: Scoot McNairy is sneaking into every movie lately. Has anyone else noticed this?